A US Air Force C-130J being loaded in Djibouti ahead of deployment to Mozambique. The military response, designed to be temporary, was only one component of a whole of U.S. government approach to delivering life-saving supplies in the first weeks after the disaster, Africa Command said on 12 April. At the direction of the Secretary of Defense, U.S. Africa Command responded to U.S. Agency for International Development’s requests for support and assistance in the flooded region. The military has completed all requirements identified by USAID, the U.S. Government lead agency for international disaster response. USAID, along with international aid organizations will continue to deliver essential supplies to assist the Mozambican people. In accordance with the current defense authorization, U.S. forces were due to conclude their support to international relief efforts in response to Cyclone Idai by April 13, as U.S. government agencies transition to distributing supplies via non-military means. Within days of the cyclone’s landfall, nearly 100 U.S. service members from Combined Joint Task Force – Horn of Africa, the lead organization for U.S. Africa Command’s efforts, deployed to Mozambique to support the U.S. Government’s relief efforts. At the outset of the operation, the U.S. contingency response force assessed airfields and facilitated deliveries to enable international relief supplies to get into the hands of those in need. Today, all major airfields are open, enabling efforts to continue. Military personnel flew more than 120 C-12, C-17, and C-130 sorties delivering 800-plus metric tons of relief that included food, shelter and medical supplies and the transport of disaster experts and workers to impacted areas to conduct assessments. 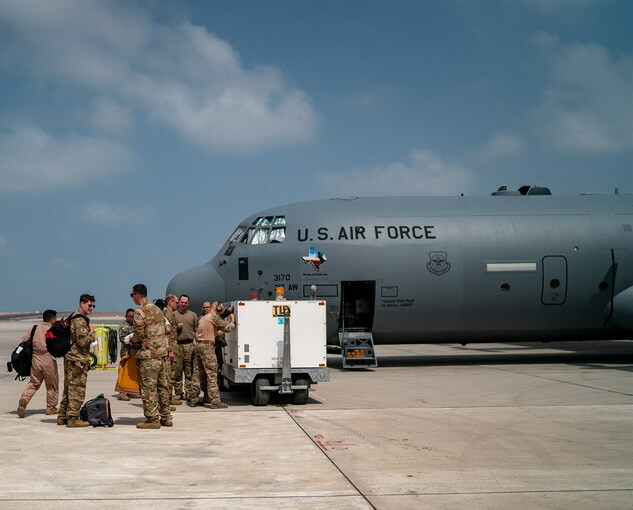 CJTF-HOA personnel returned to Djibouti after providing airlift, logistics and delivery support throughout the area. U.S. Africa Command provides disaster relief in support of the USAID’s Office of U.S. Foreign Disaster Assistance—the lead federal agency, responsible for coordinating international disaster response—when it has unique capabilities that can be used in the U.S. Government’s initial response. As the international response increases and access to affected areas improve, military response requirements decline. U.S. Government agencies will continue to distribute supplies using commercially chartered aircraft and vehicles, and a team of U.S. disaster experts remain to help coordinate with the Mozambique government, the United Nations and other nongovernmental organizations, Africa Command said.